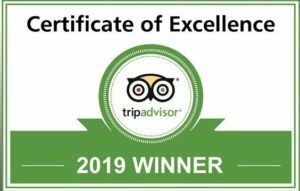 Each year, #TripAdvisor awards Certificate of Excellence awards to hotels, B & Bs that showcase continued excellence in hospitality. The prize is awarded to rentals, not only with the best comments, but also with the best owners. Anaconda Lodge Ecuador has been awarded this prize for the 6th consecutive year with 5 Stars!